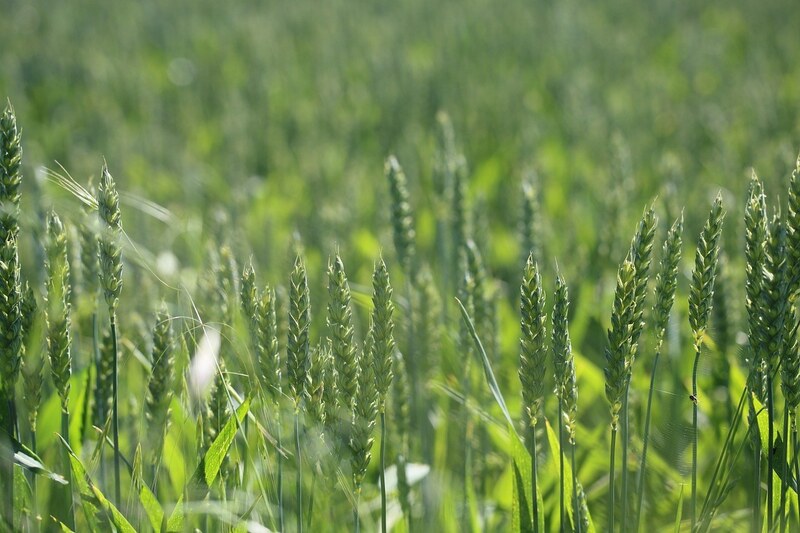 Don't Plant Winter Rye Until You Read This! 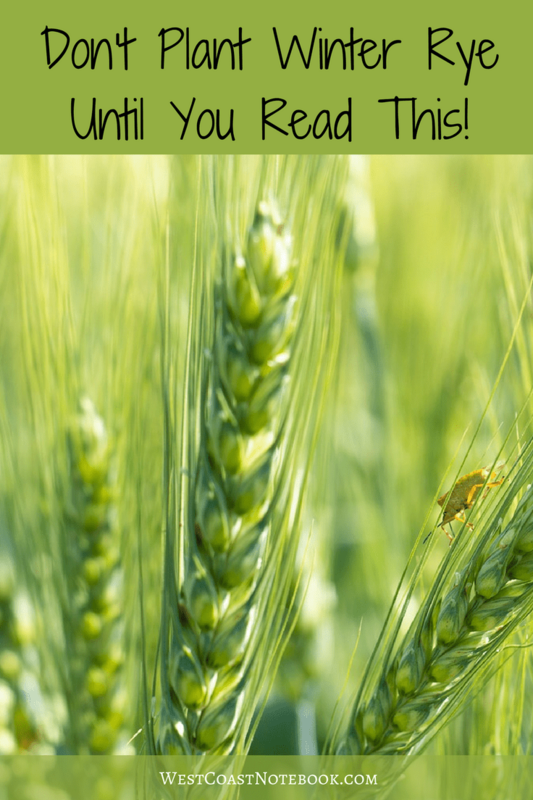 / Don’t Plant Winter Rye Until You Read This! Winter rye might not be the solution to all your problems. Last winter I was looking for a solution to help my soil due to some root knot and poor soil. You can read about it here. In looking at all my options I deemed that a cover crop would be the best solution to the problems I was having. I went looking for a pea, vetch and buckwheat blend of crop cover as I had done a lot of research on them and they looked like a great choice, but all I could find was winter rye. 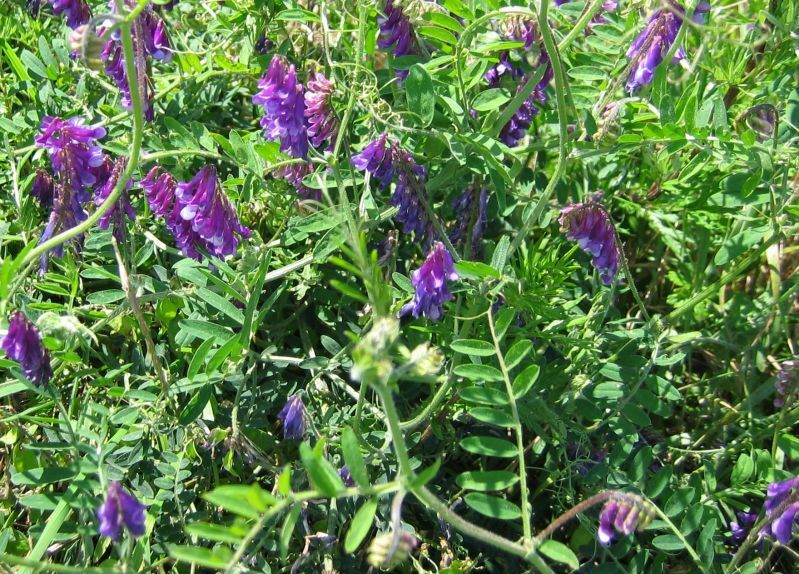 In researching the pea, vetch and buckwheat it appeared from articles and videos, that you planted them and they would suppress weeds, the buckwheat would die out and you just needed to cut the peas and vetch and turn over the ground and plant. The peas and vetch would then die and be composted into the soil fixing nitrogen in their wake. So… when all I could get was the winter rye, I thought why not… should work the same as all other cover crops. Even after planting I didn’t do any research until this spring when I went to plant some crops. I cut down the rye and turned the soil. The soil was like butter and turned easily just with a push of the garden fork. I even wrote an article about how pleased I was with it. But then I noticed a couple of things. The roots were matted like if you had pulled up a chunk of grass and the soil didn’t shake off the clumps. You had to really work with a shovel and hoe to break the clumps apart. At this point in time, I figured I better do some additional research on what to do with winter rye and found that it’s a bit of a different process than other cover crops. Should have read about the cons first. But even in my readings, there was a lot of misinformation. Some people say to cut it when you want to plant and till the soil and other say to wait until it flowers. I finally was reading a blog of a gardener who’s newsletter I’m on and after reading her account and emailing her this is what she said. This is a person who actually has personal experience with winter rye. In order for the rye to die, you have to cut it when the pollen is on the seed heads or it will keep growing. Leave the biomass on tops of the beds. Dig a planting hole for a warm weather crop (tomatoes, eggplant, peppers, or whatever) and plant it. The roots of the rye die out and decay during the summer. You can read an article that she wrote about winter rye here. Based on all that information now, it looks like I’m going to have a very interesting garden this year. I cut the rye, turn it over, chopped the clumps, hoed, planted and covered with the cutting from the rye. In the same bed, I planted radishes and lettuce so we’ll see how they fair. So far the radishes are coming up and the onions are doing fine. I cut the rye, turn it over, chopped the clumps, hoed and planted. Didn’t have any cuttings left for the top so it looks like the rye will continue to grow in that bed. Have two other beds that have been turned over and am waiting to rototill them. All my other beds are growing rye by inches every day. Grows fast when it gets a little sunshine and warmth. So here’s the plan. Where I’m not planting seeds I’m going to let it grow until it forms heads and starts to pollinate. In the meantime, for the squash, corn and other seedlings, I’m going to dig holes (which I normally do) and plant them. Then when it’s time to cut the rye, I’ll carefully cut around the plants and use the rye as a mulch. When planting seeds, I’m going to cut, turn and rototill the soil and weed the rye as needed. As I said before… it’s going to be an interesting year in the garden. I’ll keep you updated.